This is a pre-order deposit for Abbie. 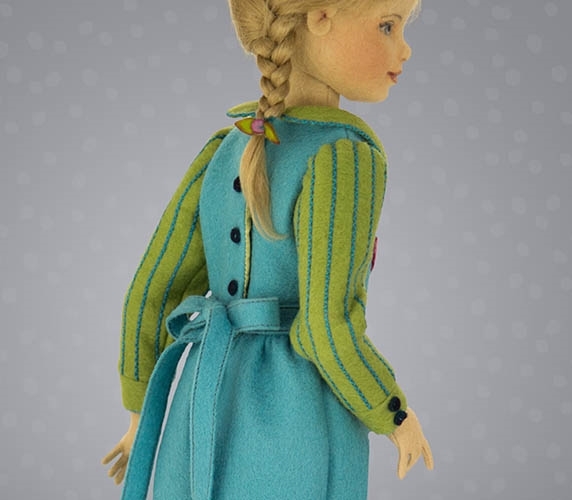 A balance of $1200 will be due when the doll is ready to ship. 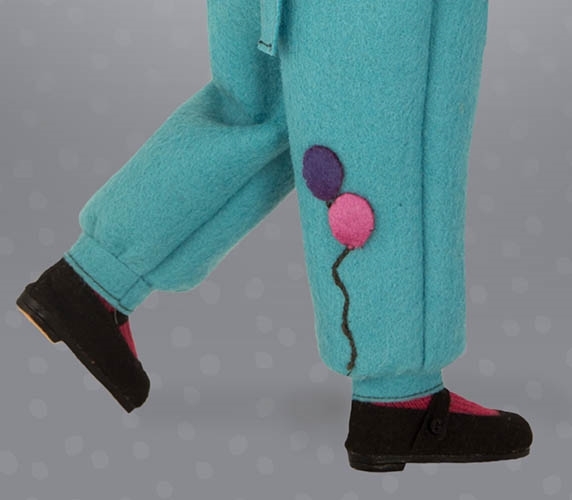 Layaway is available. 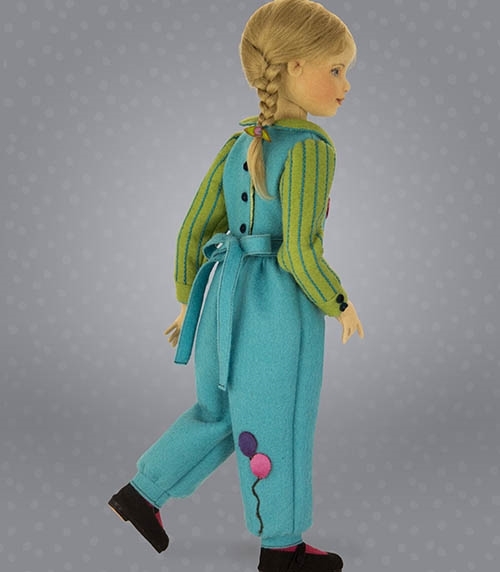 Abbie's ready to play in her teal felt jumpsuit with an adorable multi-color felt balloon design. 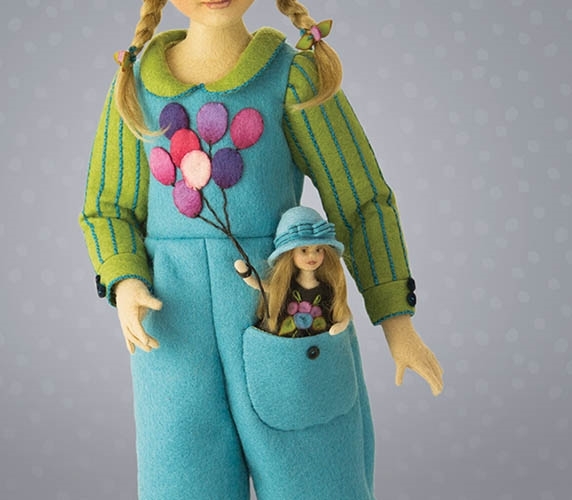 Each balloon applique is delicately air-brushed with strings attached, being held by Abbie's little travel companion. 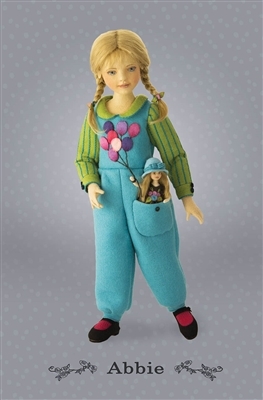 The small doll with a blue felt hat, gray dress with floral applique, and long blonde mohair sits in the large front pocket of Abbie's jumpsuit. 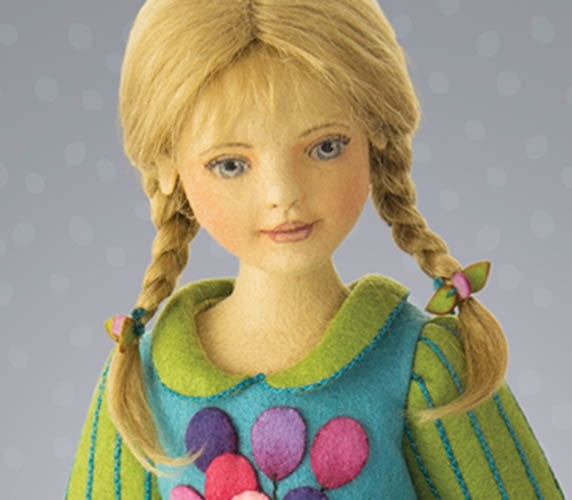 Abbie's hair is braided blonde mohair with matching felt flower hair ties.